True Timber – 8 to 1. Not a bad effort in Jerome last time out behind today’s favorite. Finished in 3rd a 1/2 length behind the place horse Bonus Points. Broke maiden on the inner two back when 7 wide at the top of the stretch going 6 furlongs. Worked well a week ago in preparation for this. Apartfromthecrowd – 5 to 1. Impressive maiden winner in last and gets new rider in IO, Jr but hard to bet ’em first time out after their first ever. Still must consider connections and the confidence they have in this son of top turf sire Gio Ponti. Jaime’s Angel – 50 to 1. Another who take maiden last time out but NY bred will be testing open company for the first time. Low percentage connections. El Areeb – 6 to 5. Deserves to be favorite off 11 length win last time out here in the Jerome. Adds ground today but so does everyone else and comes in with a three-race win streak. Working well at home base Laurel for return to Aqueduct inner. Caution: His last race looked better than it was as he faced lesser company than he’ll face today. Bonus Points – 12 to 1. Second to El Areeb last time at $15 to 1 but he is trained by Pletcher so expect improvement. Still can’t see how he makes up 11 lengths. Fillet of Sole – 10 to 1. Pletcher sends out this son of Union Rags off maiden score by a nose at Parx in the slop. That was in November and must consider this a tryout for an upcoming KY Derby prep race. Always a Suspect – 20 to 1. Looks like the rabbit for McLaughlin’s other runner on the rail. 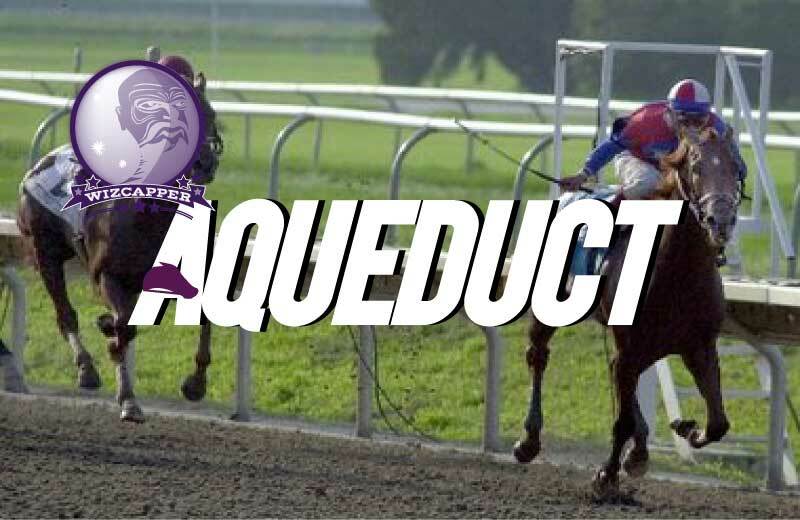 Broke maiden by 3 in the mud at Belmont going 6f then was a neck winner at Aqueduct at same distance before setting the pace in the Lost in the Fog here last time when falling short by a neck. Small Bear – 30 to 1. Only one of two with a win at the distance when breaking maiden here two back over the muddy inner in December. Came right back to win at 1 mile at Parx as the heavy favorite in an OC for $50k. Too tall a task in here. Square Shooter – 12 to 1. Two for two lifetime both at Parx and will be sent from the outside to get position. First race since December, and going long will be hard to overcome in third career start. J Boys Echo – 4 to 1. Broke maiden at Keeneland two back at today’s distance. Running line says he was gaining late on Gunnevera last time out in the Delta Jackpot but he was really just passing tired horses.